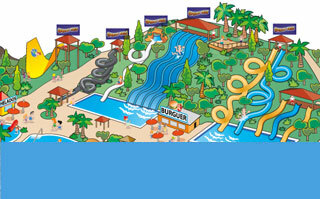 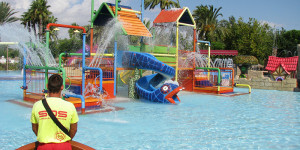 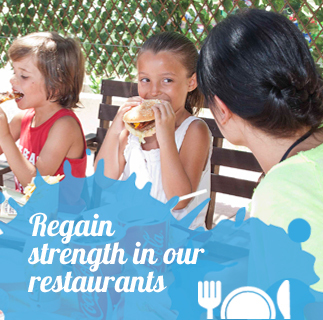 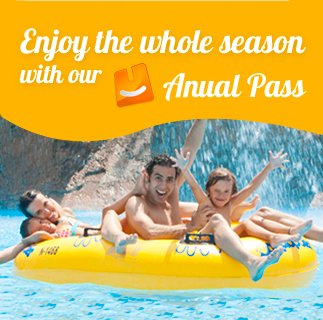 The water park has adapted two of the funniest attractions for the little member of the family, among them the Mini Zig Zag. 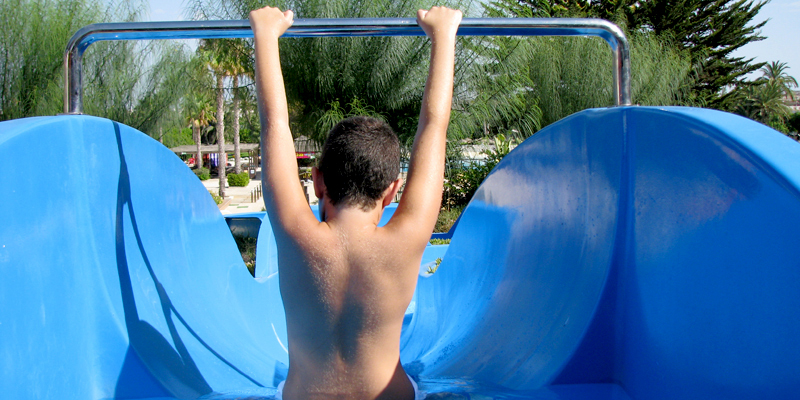 The kids can slide down the entwined slides Mini Zig Zag accompanied by their parents or alone if they can swim properly. 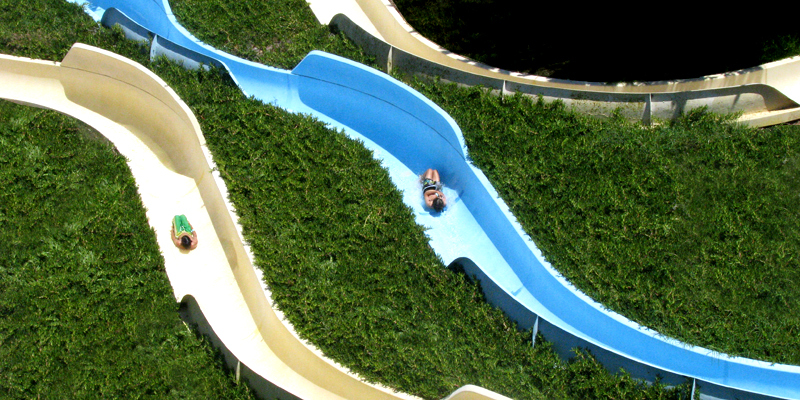 Even those not so kids can slide down Mini Zig Zag of the lower slope. 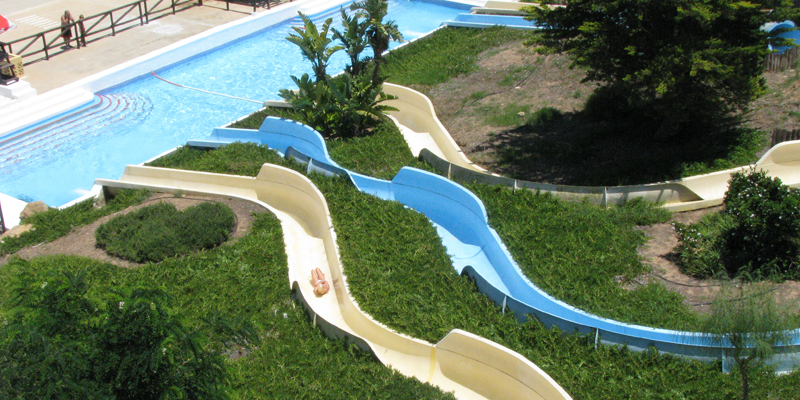 Once completed the descent, Mini Zig Zag will serve you as a springboard to get started on the adventure of the Zig Zag and ride down the big slides.